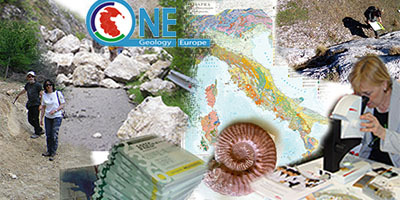 Discover in more details the actvities of the Geological Survey of Italy, national and international projects, publications, news and events, in order to be constantly updated on what’s happening in the Earth Sciences world. 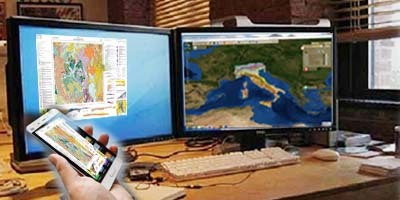 Access to all the data owned by ISPRA Geological Survey of Italy. Data can be explored through a catalogue (Search), viewed through a geomapviewer (View) and WebGIS applications, and uploaded on your GIS project as OGC services (Use). You can also directly access also to portals owned by Regional Geological Surveys. 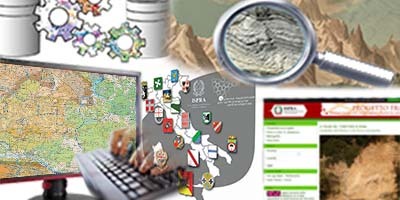 Through the Geoviewer you can explore in a geographic environment all the map services related to the databases of the Geological Survey of Italy, together with several other useful information layers. This first annual report is focused on the 2017 activities carried out by the Geological Survey of Italy Department in the frame of the ISPRA institutional task. This publication aims at promoting and disseminating scientific knowledge in the field of geology, showing the strong contribution provided to our country by ISPRA, Geological Survey of Italy.